Drawing on abundant archival sources, Stout (American Religious History/Yale Univ. ; Upon the Altar of the Nation: A Moral History of the Civil War, 2006, etc.) 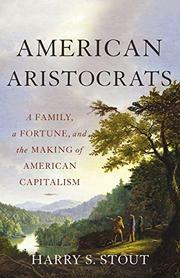 presents a detailed history of the fortunes and aspirations of a single American family, the Andersons of Kentucky, from 1750 to 1888, arguing that land ownership was central to their lives as participants in “the American experiment in republican capitalism.” The Andersons’ quest for land forms a recurring theme, as do the worry and stress that land ownership entails. “Land was the lifeblood of the young nation,” writes the author, “but land was jeopardized by the markets and was the source of unending anxiety.” The clan’s patriarch was Richard Clough Anderson Sr., who in 1783 was elected to the post of surveyor general, “literally measuring America inch by inch and rod by rod to impose order on the land and make possible prosperity for its ambitious citizens.” Those citizens were white males whose land lust entailed the removal of Native nations by force and whose prosperity depended on slaves. The Andersons were slave owners, and though Stout maintains that their “intimate association with land, property, and anxiety” was “not exceptional for their time,” they represent “a broad swath of movers and shakers” rather than ordinary citizens and therefore limit the reach of Stout’s generalizations. With little documentation for women’s lives, the narrative mainly chronicles the Anderson men’s political affiliations, familial squabbles, participation in the Civil War, and responses to a succession of financial panics. Clough’s namesake, Richard Jr., beset by money troubles, risked his family’s well-being to pay off debts and acquire land by taking a well-paid consulship in Colombia; his decision to move to a country with poor medical treatment led to his wife’s death and, eventually, his own. After Richard died, his brother, a Harvard-educated lawyer, became the new patriarch and a wealthy Ohio landowner. A sturdy but narrowly focused tale of American history.